I was really stoked today (yes I really do say stoked in real life) when I found this book on our weekly library trip. I brought it over to The Phi to see if she would be interested. Once the words "rock stars" came out of my mouth she was like "yea Mom, lets get it." 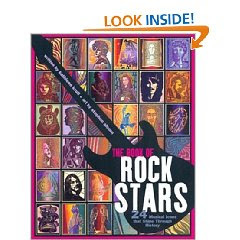 Tonight we read the first 2 of the 24 rock star bios, Elvis Presley and The Beatles. Nice short bios and beautiful art renditions of the stars. I wish they would have included an actual photo but oh well, can't have it all. I am looking forward to reading to her about rock stars like; Bob Dylan, Santana, Jim Morrison, and Kurt Cobain. I love finding thing like this. 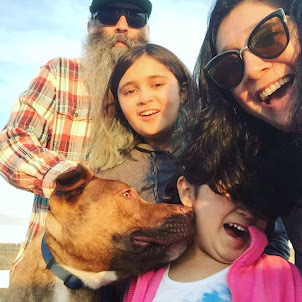 Because until Jack Black pretends to be a substitute teacher and shows up at The Phi's school and forms a rock band with her and her classmates, this house will have to be The Phi's school of rock. Just click on the photo to buy yourself a copy!